We understand how tough it can be when it comes to a family being split apart by the decision to divorce. You will come up against a number of issues during proceedings in family and divorce matters. It can become stressful, both emotionally and financially for everyone involved, especially for young children. As divorce lawyers we always look at a situation with understanding, compassion and professionalism to ensure you receive individual attention to your particular case. We are driven to make the process as smooth as possible so you will come out with the best possible outcome. As divorce proceedings progress we want to ensure that the process that you are going through is a stress free and as seamless as possible. We are here to answer any questions you may have, while offering you various legal options that may be available. At MM Law, our family and divorce lawyers take pride in showing our clients how professional and committed our firm is to making sure you are fully satisfied with our services. We tailor our services to your individual situation to ensure you are receive the best care. We will strive to make sure you are happy with your choice of family law firm. Family Law and Divorce are a large component of our services and we want to make sure that we identify the key issues that need to be resolved. 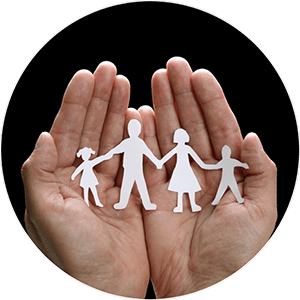 We will work to help you achieve your vision covering a wide range of family law matters that involve children, spousal support and the division of your property. We ensure that all parties will have their needs addressed and that the final outcome benefits all parties involved. When seeking legal assistance during a divorce or separation MM Law can help you as our divorce lawyers in Calgary have experience and are professional. Common disputes that we encounter include property division, child support, child custody/access, spousal support. For people who need a Calgary family lawyer to review an existing contract or agreement, such as a separation agreement, marriage contract and cohabitation agreement. For people who need a family lawyer to seek an order during the legal process of adopting a child, or to draft an agreement before making arrangements for a surrogacy. For people who need to resolve their disputes by using the traditional court system. Typically, the disputes are resolved by seeking a judgment or court order from a judge. For people who want to resolve their disputes privately, and outside the court system. With their lawyers, both parties negotiate a resolution with the help of a neutral third-party. For people who want to resolve their disputes privately, and outside the court system. Typically, the disputes are resolved by seeking an endorsement from an arbitrator.